Volumetric close coupled gear pumps directly cou- pled to motor with special shaft. 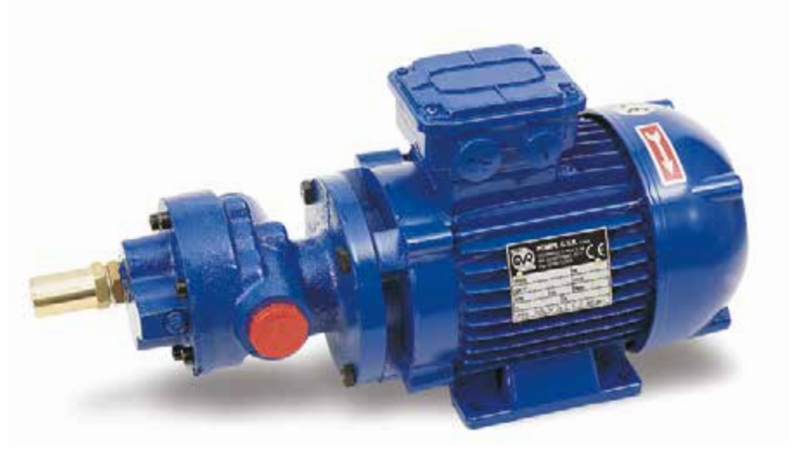 Pumps available in three different constructions: Cast iron with shafts and gears in steel; Bronze with shafts and gears in Inox AISI 316; Inox AISI 316. Three-phase or single-phase motor, 1400 rpm or 900 rpm, protection IP55, Cl. F.
Max temperature of 100°C for standard version. Max viscosity of 300 cSt for 4-poles-version and 600 cSt for 6-poles-version.